For more than 40 years now, Kitco has been trading (buy and sell) with physical precious metals such as gold, silver, platinum, palladium and rhodium. People interested in rhodium which bought originally from us rhodium sponge, can sell it back to due to our competitive live rhodium bid and the confidence we are considered a trusted dealer in the industry for all this time. We make selling your rhodium sponge easy, efficient, safe, and private. Call us at 1 877 775-4826 or 514 313-9999 to sell 5 oz Rhodium Sponge. For additional information, you can read Kitco rhodium selling FAQs by clicking here. 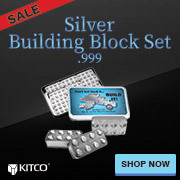 There is no minimum amount when selling Rhodium to Kitco either online or over the phone. If your not sure how to send us your rhodium sponge, you can check out this guide with helpful information on how to safely ship rhodium and other precious metal to Kitco, click here. Why sell 5 oz Rhodium Sponge to Kitco? Kitco is a trusted leader in the physical precious metals and rhodium bullion industry. With our focus on rhodium and other precious metals, you can benefit from our live rhodium prices which are competitive within the bullion industry. Rhodium Sponge and other physical precious metals sold to Kitco are recognized in bullion markets around the world. When you are ready to sell 5 oz Rhodium Sponge. You can buy or sell rhodium and other physical precious metal items by contacting our team of highly trained precious metal specialists. At Kitco, we make it easy for you to manage your tangible wealth portfolio.